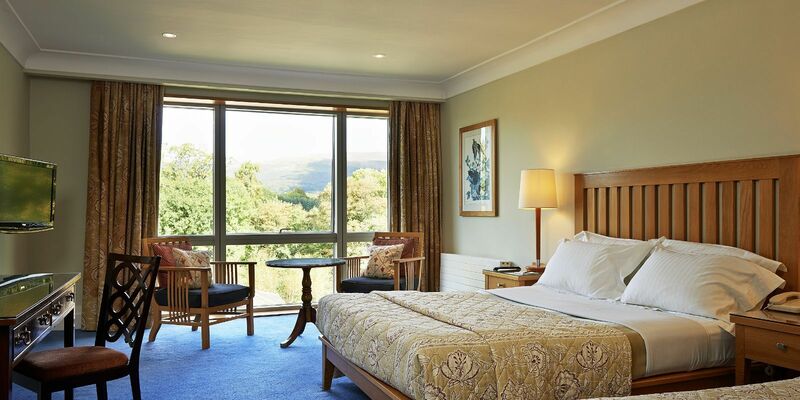 At Ballymascanlon House Hotel we offer a total of 97 bedrooms. 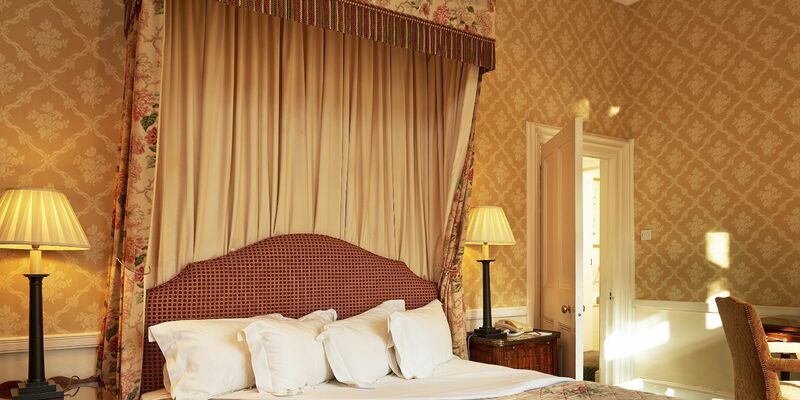 In the Victorian house, there are 6 of the original luxuriously designed rooms dating back to the 19th century. 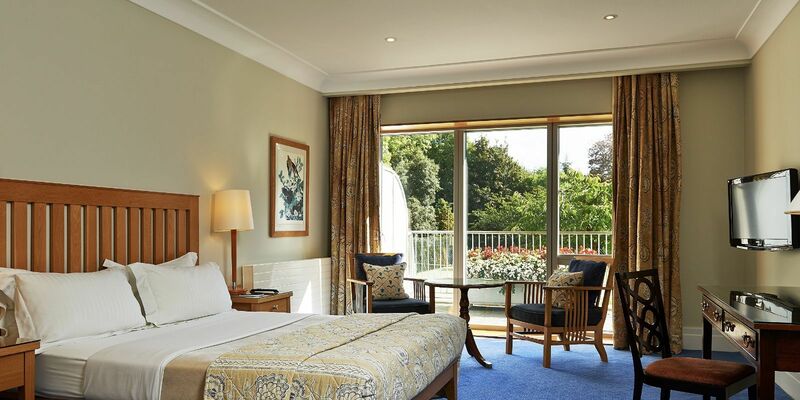 One of which includes the spectacular Duchess Suite with its own living space that overlooks the prize-winning Gardens. Continuing on the rest of the hotel, there are a variety of types of rooms featuring stylish décor and the utmost comfort and elegance which also include all the facilities that any discerning guest requires. 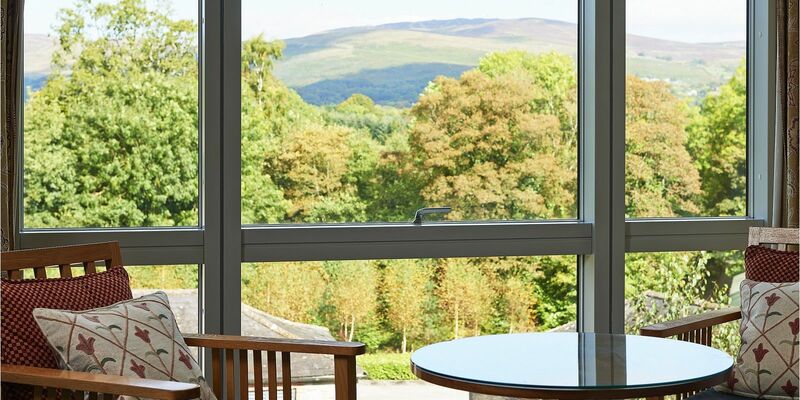 Our rooms have spectacular views over the 130-acre Estate including scenes of our Courtyard and breath-taking views of the Cooley Mountains. The top-class accommodation is not the only benefit our guests can enjoy, you also have use of the extensive Leisure Facilities including indoor Pool and Jacuzzi. 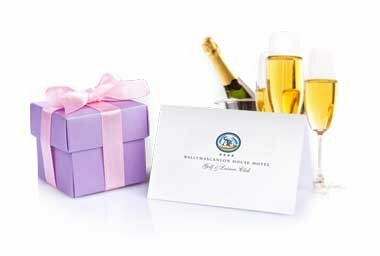 With other facilities including gym, tennis courts, superb 18 golf course and Wi-Fi, Ballymascanlon House Hotel skilfully combines the splendours of historical opulence with modern luxury and comfort. 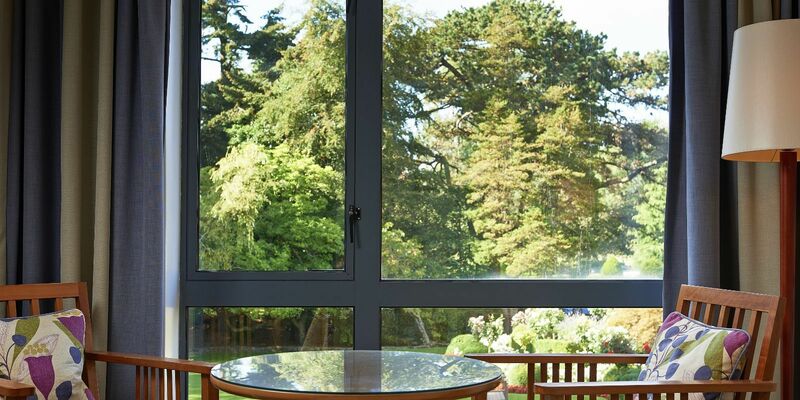 At Ballymascanlon House Hotel all our rooms are Non-Smoking. 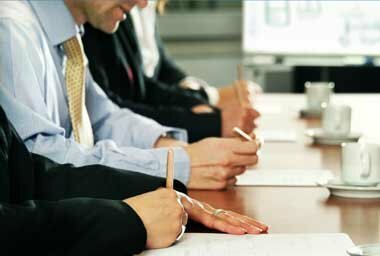 There is a choice of accommodation to cater for, single, double, twin and triple occupancy. 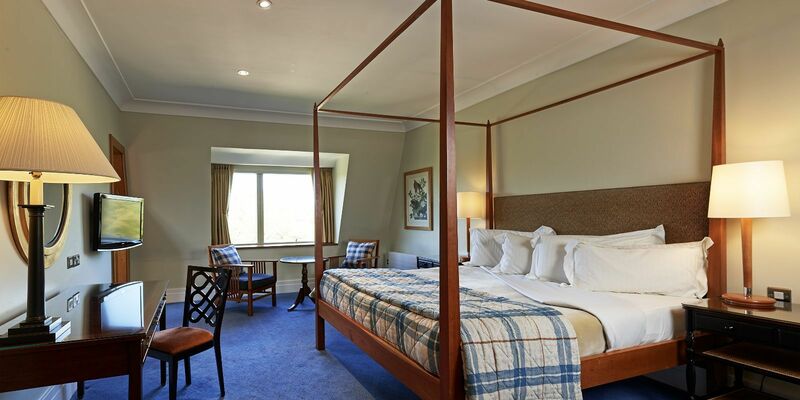 Our family rooms contain a double & single bed with room for an additional bed or cot, some of which are interconnecting rooms. In addition we also have the option of wheelchair accessible rooms. 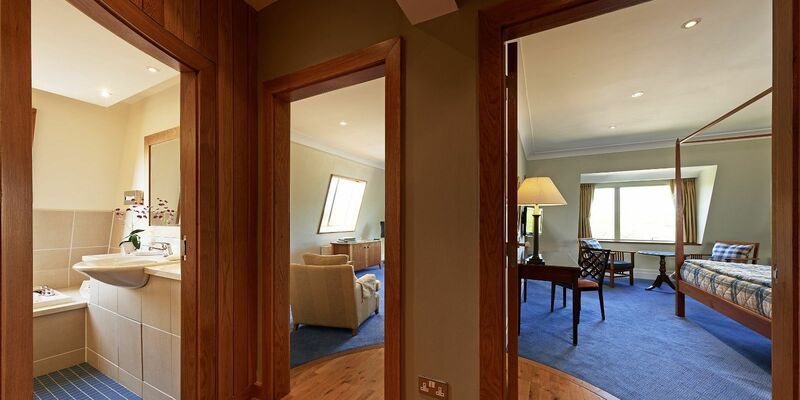 At the Ballymascanlon House Hotel we have 2 glorious suites to choose from. In the Victorian house our Duchess Suite with its original luxurious design dating back to the 19th century. This authentic Victorian style room is complete with a canopy, super king bed and its own living space that overlooks the prize-winning Gardens. Giving you that feeling that you have stepped back to a time rich in history. Alternatively, we have the impressive Garden suite with its plush surroundings, stylish interior walk in wardrobe and its own dining come living space with en-suite bathroom. 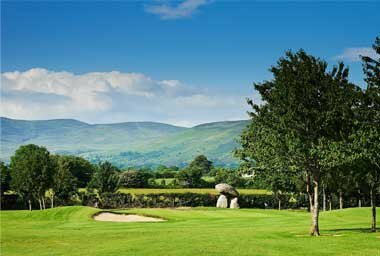 The suite boasts a magnificent view of the courtyard and beyond this the breath-taking views of the Cooley Mountains and the magical trail leading to the historical Proleek Dolmen. Guests have use of the extensive leisure facilities including indoor pool and Jacuzzi.